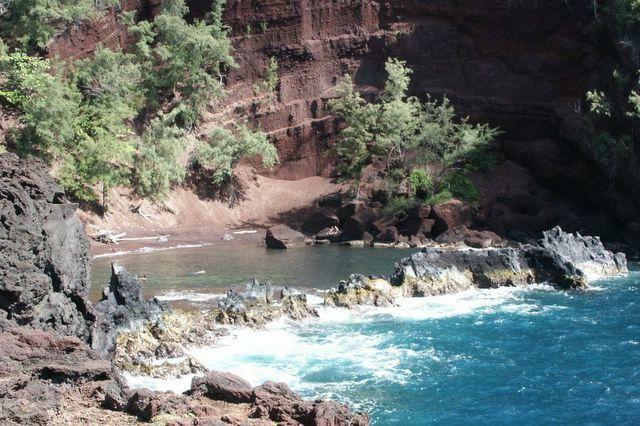 Red Sand Beach -- This beach is on the other side of the hill from the first one. The path is from the corner of the Hana Ranch parking lot. It says keep off but we didn't. Cove is protected and very pretty.